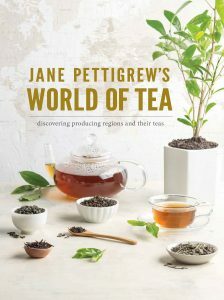 Jane Pettigrew is a tea specialist, historian, writer and consultant. Since 1983, she has been working around the world to explain and share the fascinating world of tea. In 2016, Jane was awarded the British Empire Medal for Services to Tea Production and Tea History. In 2014 she received Best Tea Educator Award, and in 2015 received Best Tea Personality Award and Best Tea Health Advocate at the World Tea Awards. The author of 16 books on tea, she lives in London.